Nick Laird’s debut novel is described as being a “searing, fiercely funny, and ultimately redemptive novel about surviving an office job, outwitting the bad guys, and, hopefully, getting the girl.“ Set in London and crossing the sea into Ireland, this is a novel about a corporate attorney whose life suddenly gets interesting when an old friend appears on his doorstep. 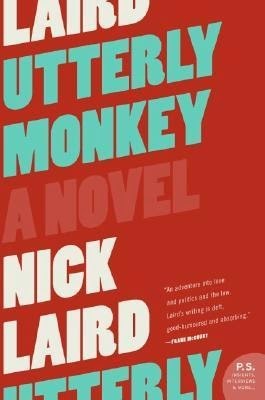 So often today books set in the United Kingdom are Americanized, the language used adapted, however that was not the case in Utterly Monkey. I loved the descriptions and expressions used throughout this book. It made the story as well as the setting come to life. The characters were quirky and fun and the book was full of humorous moments mixed in with more serious issues. Although the book got off to a slow start, the ending took off at a record pace and had me racing to the last sentence. 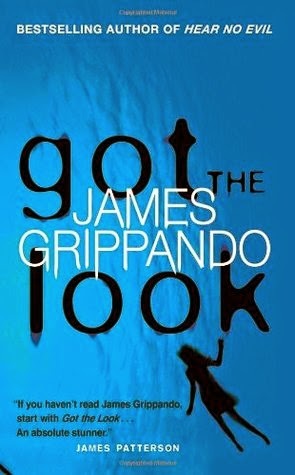 James Grippando has earned a place among my “must read” authors. Got the Look hooked me in from the very first page and kept me captivated until the very end. FBI Agent Andie Henning and Jack Swyteck are trying to track down a kidnapper/killer who has recently abducted Jack’s new girlfriend. Will the ransom paid be enough to keep her alive? Although this particular book is the latest in a series featuring attorney Jack Swyteck, I hardly noticed even though I had never read anything by this author before. The characters were well defined and I found the plot itself quite intriguing in its varying nuances. I look forward to reading more by this author. I like the sound of all three of these. I like the idea of quirky and fun character, and with a name like Utterly Monkey, I don't think I can resist. Jenclair - I like quirky characters too. :-) I hope you like Utterly Monkey if you do give it a try. I have one of Grippando's books on my shelves (I think). It sounds like I should give him at try. Do I need to read his books in any order do you think? I always enjoy reading your thoughts like this. It is fun to see your thoughts on some older books (and not always the newer releases that we see so often). Have a great Sunday! Samantha - As much as I liked that book, I still haven't read another of his books. So much for being a must read author. LOL Too many other books got in the way. I do want to read more by the author and in the series at some point. Utterly Monkey sounds like a book I should check out. I chuckled when I read that it's about "a corporate attorney whose life suddenly gets interesting" because I can't imagine a more boring job than working at a corporate defense firm (or in house)! Melody - I hope you like them! They were all fun reads. All of these sound great but I really want to read Utterly Monkey. Sounds interesting! Derailed also looks pretty good and I'm glad it lived up to your expectations. So often for me that doesn't happen and it's always an extra treat when it does! Katherine - The title of Utterly Monkey alone makes a reader curious about it, doesn't it?